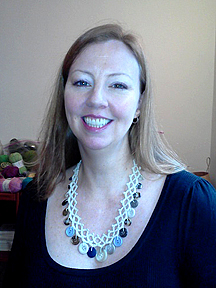 Kara made the necklace from my Faux Tatted Jewelry Set pattern. Doesn't she look beautiful wearing it! 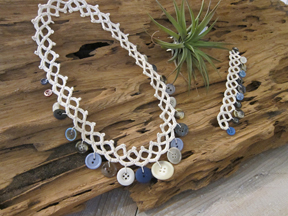 Here are the necklace and bracelet that Kara made from my Faux Tatted Jewelry Set pattern. I love these pieces and her photo on the driftwood! 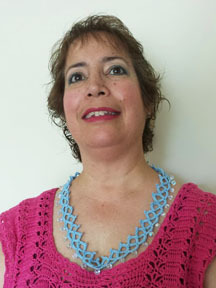 Here's Sandy's Faux Tatted Necklace that she made in my crochet class at the CGOA Conference in Manchester, NH. 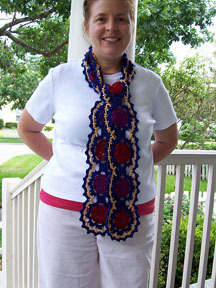 I love the colors that Anne used for her Byzantine Scarf! 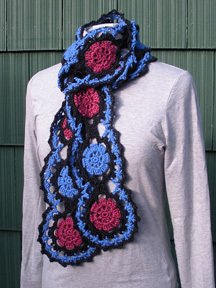 Amy chose some fabulous colors for her Byzantine Scarf! 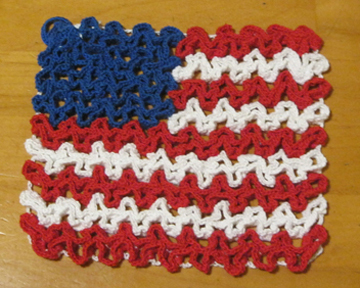 Sally did an awesome job on her July 4th Hot Pad! 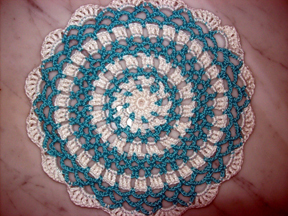 I think Carol did a great job on her first doily from my Beginner's First Doily class at Annie's! 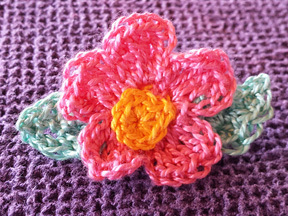 This is Patty's flower pin from my Annie's class, "Learn to Crochet With Thread". She did a great job on it! 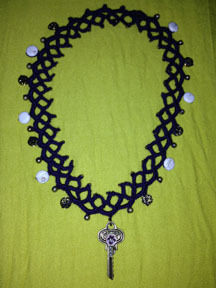 Here is Laura's faux tatted necklace with a "focal point" key added! What a wonderful idea Laura had to add the key! 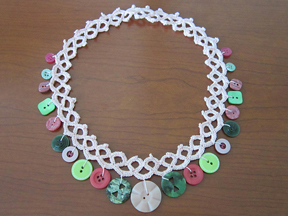 Juanita used some pretty beads for her faux tatted necklace. Great job, Juanita!